Join us for a FREE webinar to learn everything you need to know about how to use FACEBOOK ADVERTISING to elevate your business! With more than 1.6 billion users, Facebook is king of the social media world. Yet many agents still aren't taking full advantage of the many tools Facebook has to help you generate more leads and expand your sphere of influence. 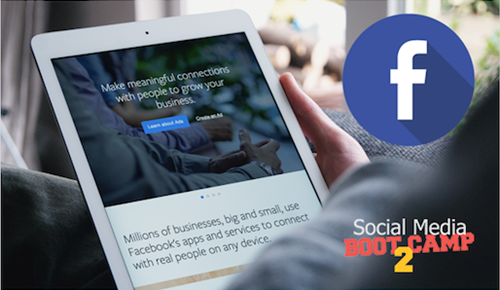 Join us for a FREE Social Media Boot Camp 2: Facebook Advertising webinar, designed exclusively for real estate professionals and your business needs, to learn how to take full advantage of Facebook Advertising so you can too be motivated and empowered to get the biggest return from your social media marketing. Register Today!